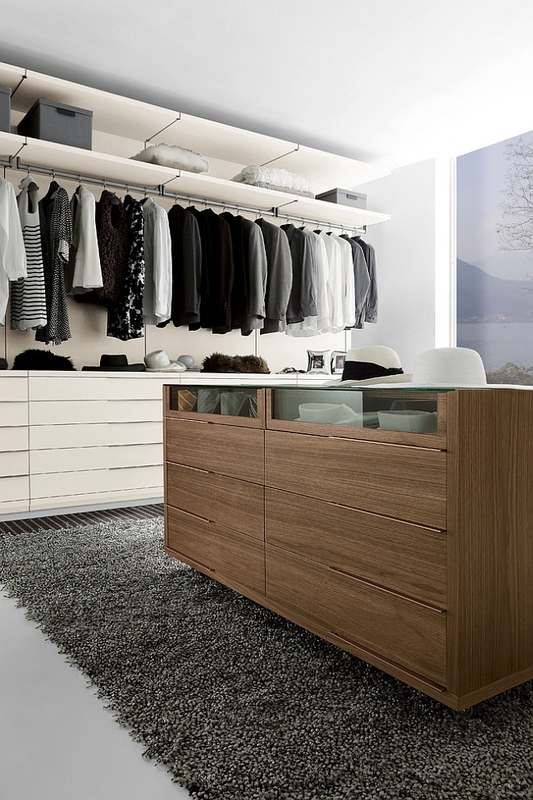 Looking for the perfect walk-in closet to complete your gorgeous master bedroom? 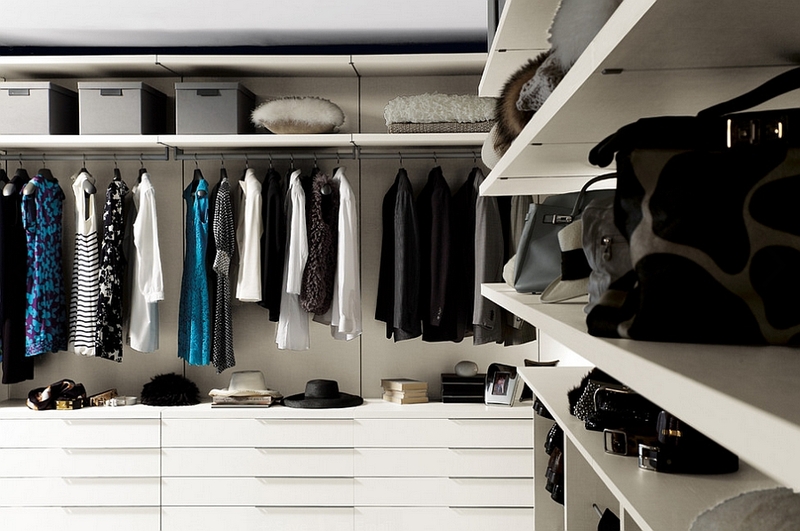 Maybe you’re just tired of your messy closet and have taken an oath to embrace a more organized lifestyle. 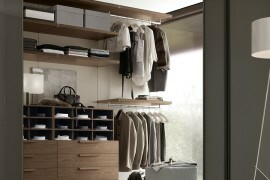 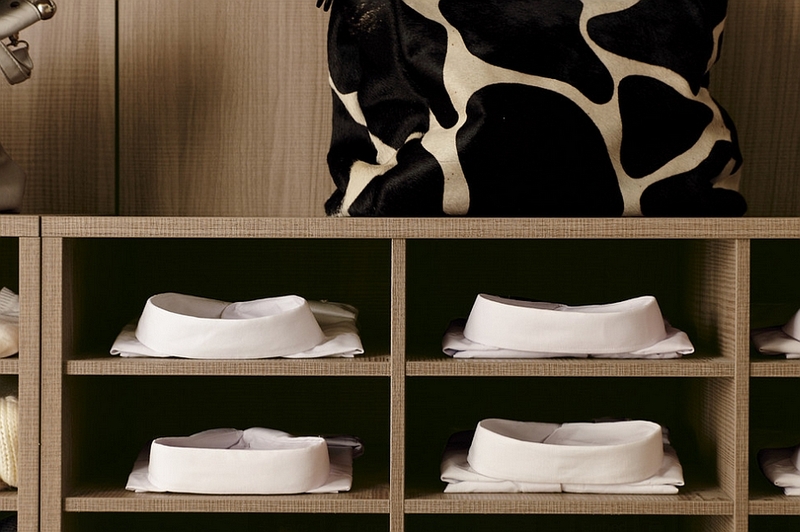 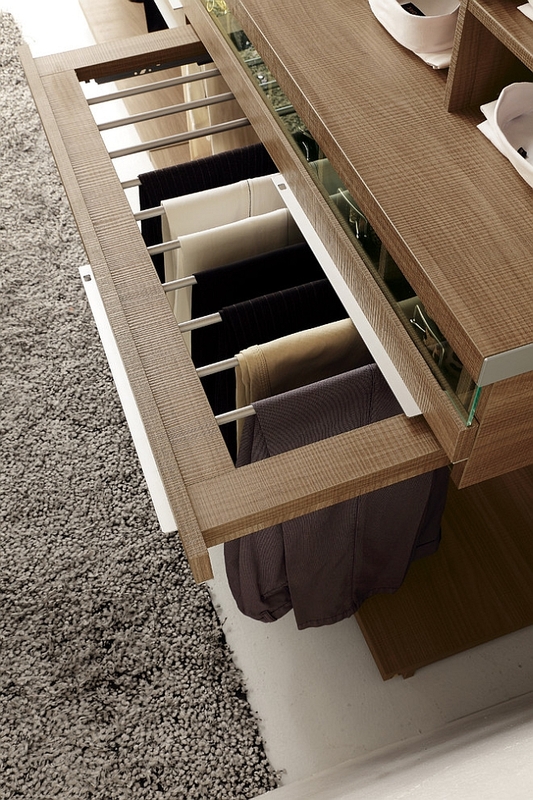 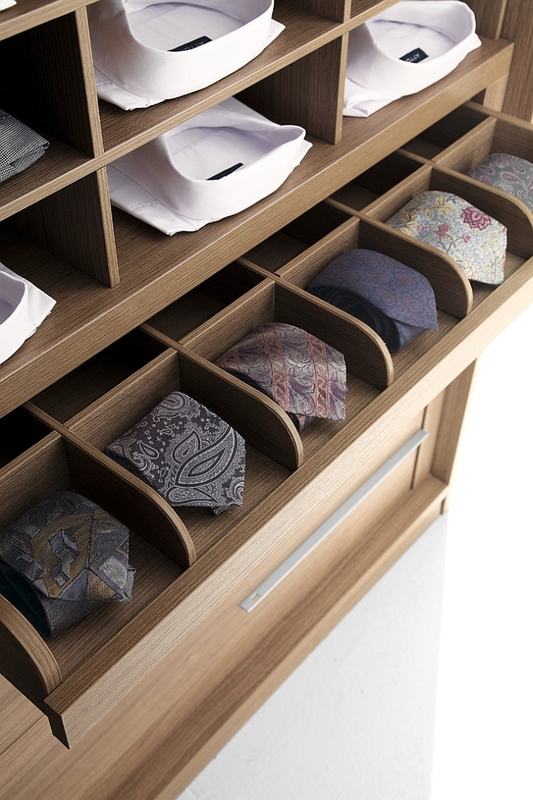 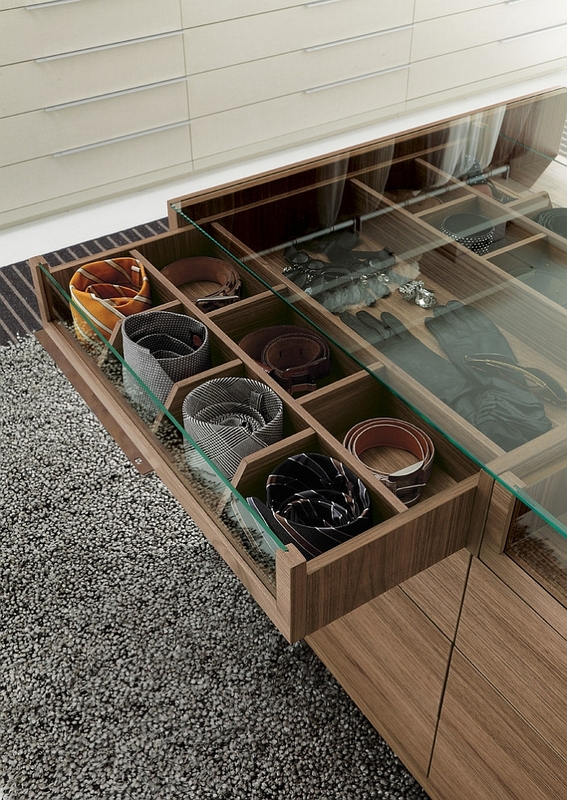 Well, no matter what your wardrobe organizational needs are, Nicchia offers the perfect range of smart solutions. 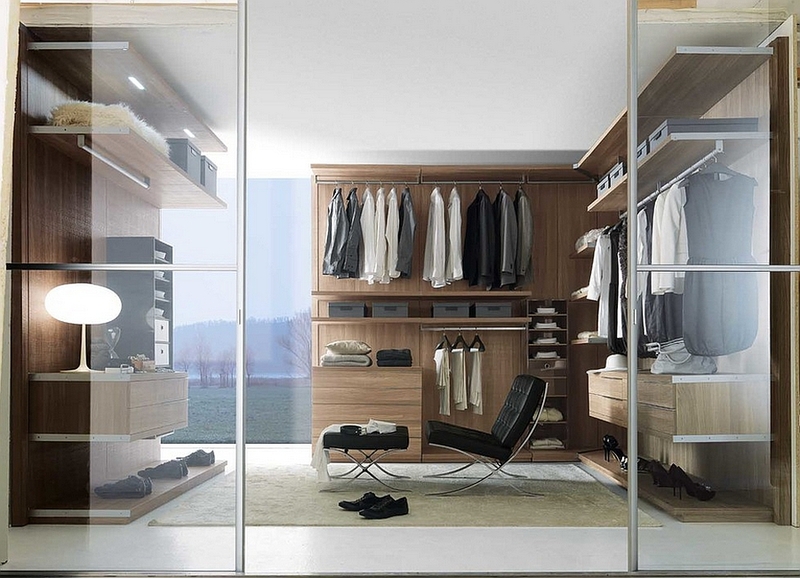 Crafted to perfection by Italian furniture giant and offered by , the amazing walk-in closet sweeps you off your feet with its amazing array of space-saving features and smart design. 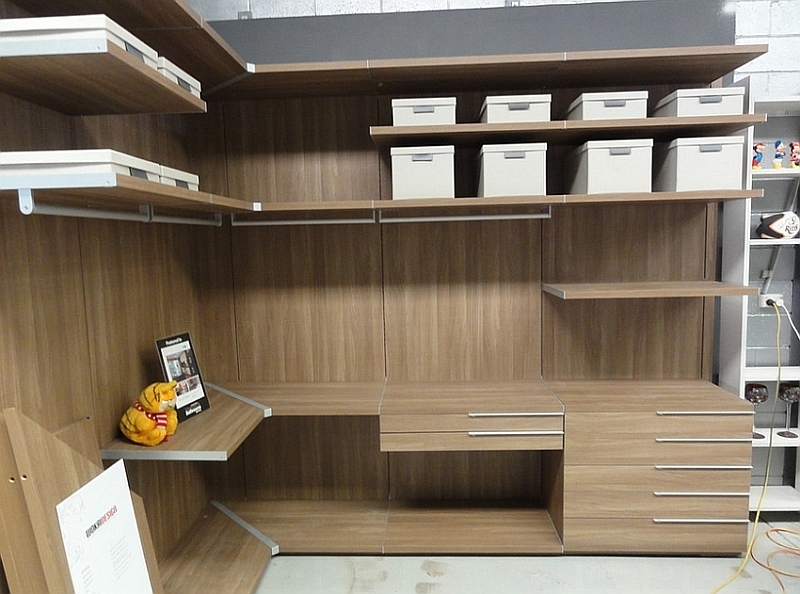 Versatile to the core, its many modular units can be altered according to your specific needs. 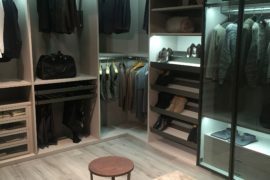 The most impressive feature if Nicchia is the flexibility that it offers and the ease with which it adapts to different floor plans. 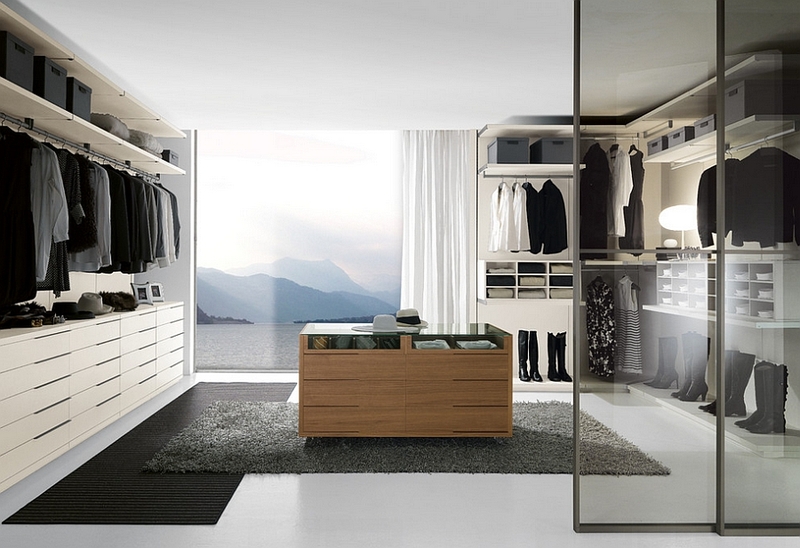 While it does look great in a spacious bedroom, it can be altered to fit even small closets while offering you efficient storage solutions. 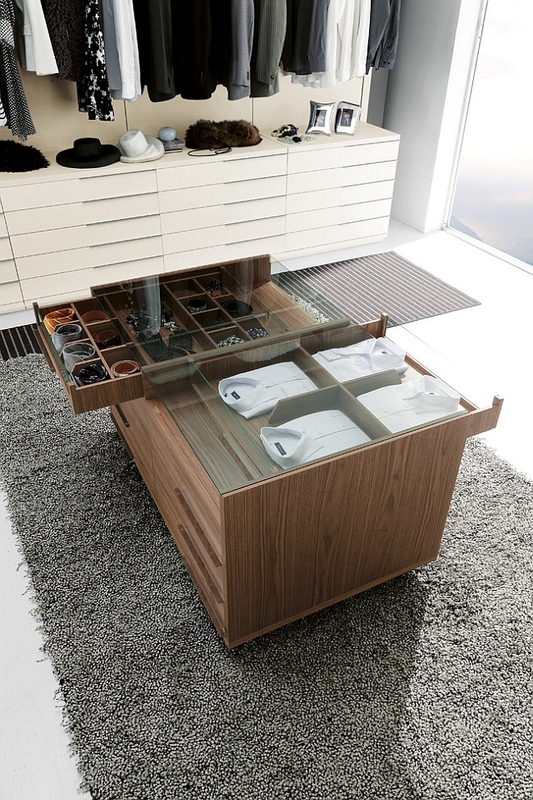 Made out of Canaletto walnut or white Seta finishes, its amazing range of accessories includes drawer units, trouser rails, shoe racks, and shirt and sweater holders. 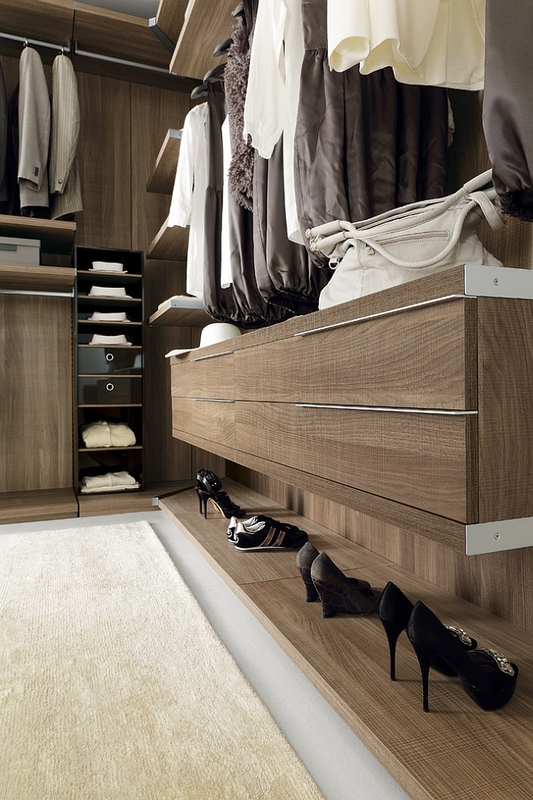 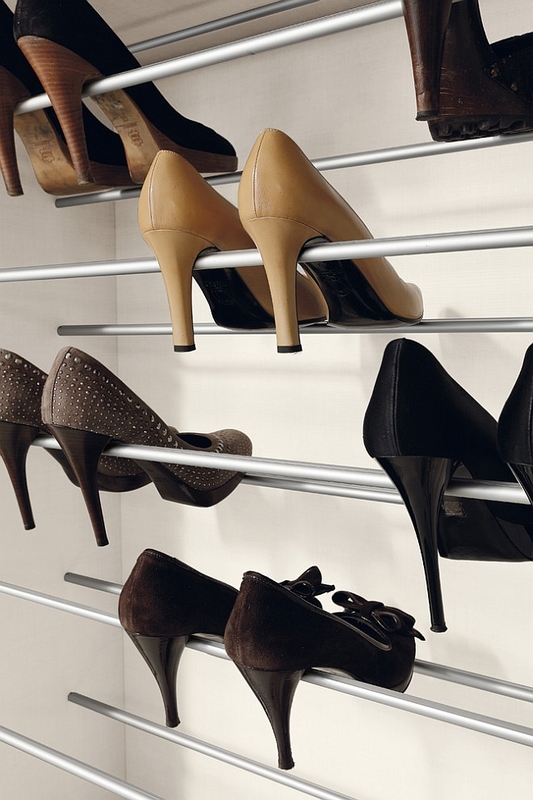 Each of these can be reduced in width and height to ensure that they fit within your own walk-in wardrobe. 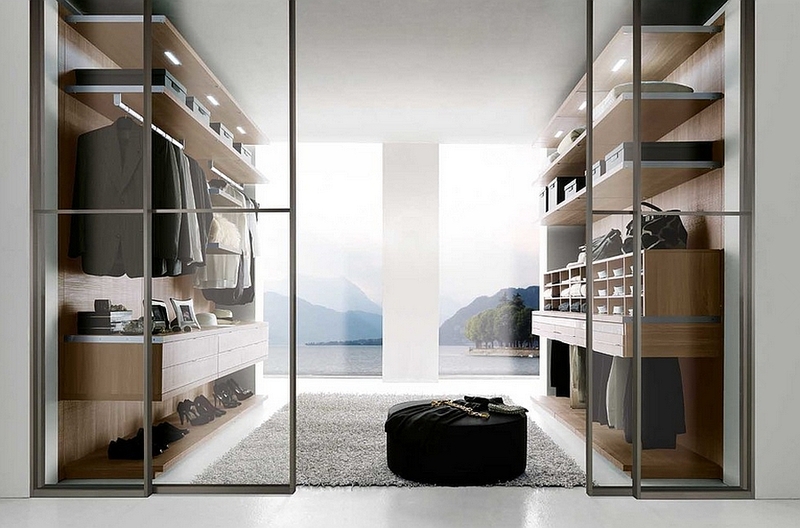 Giving your bedroom an ergonomic, sensational makeover, the sliding glass doors of the walk-in wardrobe give even the smallest units an airy, spacious appeal. 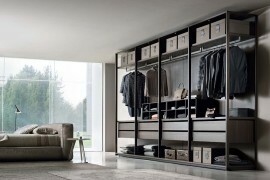 With concealed tracks, wall-mounted drawers, shelves and exclusive central islands, Nicchia is the ideal walk-in closet for the posh, contemporary home.